The Texans signed Ferguson to a reserve/future contract. Analysis: Ferguson spent the majority of the season on Houston's practice squad and now will have a chance to make the 2019 roster. The 25-year-old running back has 16 carries for 25 yards and 23 receptions for 152 yards during his short career, though he failed to spend any time on an NFL roster this season. Ferguson was signed to the Texans' practice squad Monday. Analysis: Within the last week alone, Ferguson has made pit stops in Cleveland and New England before arriving in Houston. At 25 years old, Ferguson presents a youthful option at running back, but it's more likely he'll be used on special teams should he stick around. The Patriots signed Ferguson to their practice squad Wednesday, Mike Reiss of ESPN.com reports. Analysis: Ferguson worked out for New England on Tuesday and appears to have shown well enough to join the team's practice squad as a deep depth option. The 25-year-old is unlikely to see notable usage this season but could tentatively see an emergency role with the Patriots if Sony Michel (knee) is unable to return to the field in the near future. Ferguson worked out for the Browns on Monday, Adam Caplan of SiriusXM Radio reports. 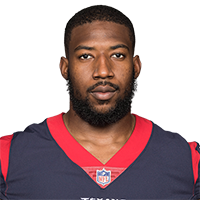 Analysis: Ferguson was released from the Texans' practice squad in October, and he appears to have garnered some attention in Cleveland. The career journeyman could tentatively serve to bolster the Browns' running back depth, considering that the team's only backup to Nick Chubb and Duke Johnson is Dontrell Hilliard. 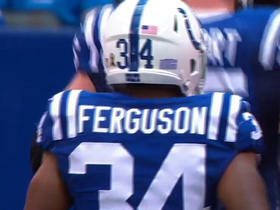 Indianapolis Colts QB Andrew Luck finds running back Josh Ferguson for 14 yards and a first down.